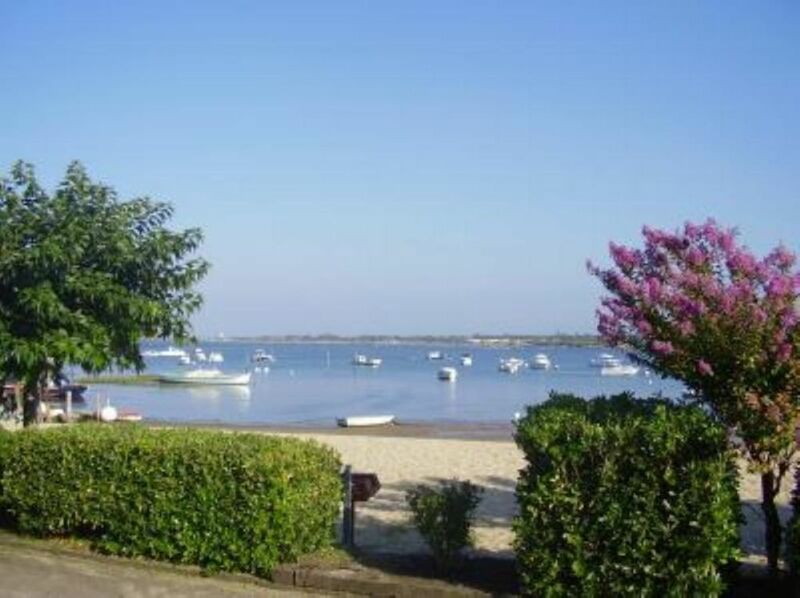 "Our appartment was in a great location, right on the shore of the Bassin d'Arcachon with beautiful views from the lounge/diner, the main bedroom and especially the large ground floor, south facing terrace where one could eat or relax with a drink and admire the ever changing view and watch the wading birds and oyster breeders going about their daily tasks. The appartment was well equipped and furnished having been completely re-furbished 3 years ago. The second bedroom/cabine was really only suitable for children as it had bunk beds and was an internal room. This did not worry us as there were only the 2 of us. Shops, restaurants, banks etc and the start of the mile long promenade into Arcachon centre are 10-15mins walk away which meant that the appartment was quiet with easy parking and a community feeling. There is an "Oyster Shack" 50 yds away where one can sample local shellfish at a very reasonable price." "the accomodation was perfect. the owners were very helpful and met us at the station on arrival and drove us to the apartment. the location is excellent and ideal for a relaxing break. the town, beach and bay gave us everything we needed for a superb holiday." "We spent a very pleasant few days in this attractive apartment, It is directly across the street from the beach and the bay. It is situated on the ground floor with nice views of the beach and water. The apartment is well-appointed, clean and the owners are very friendly and helpful. Shops and restaurants close by. One can easily ride a bike to the centre of Arcachon and also walk." Appartement conforme à l'annonce, je recommande vivement. Vue imprenable, calme absolu, exellents commerces de bouche à proximité, Appartement propre, literie parfaite. Le contact avec la propriétaire a été très agréable. Elle nous a accueilli chaleureusement dans son appartement décoré avec goût. La vue sur le bassin est magnifique. Nous n'avions qu'à faire deux pas pour nous retrouver sur la petite plage de l'aiguillon.